Interactive play for kids with Ubooly! Uboolies make the world a brighter place! These plush toys with educational apps are really fun for the younger kiddos in your life. I first found Ubooly through their second Kickstarter campaign and, pretty much, fell in love! What makes it different or cool? Ubooly lives up to their goals by creating an engaging experience for kids that inspires creative thinking and active play. My favorite adventure with the Ubooly is the ‘Cave Exploration’. That adventure had my older son (10 at the time) hiding in a dark room and transported us both to a cave with bats, stalagtites, and dripping water…it was really fun for both of us. 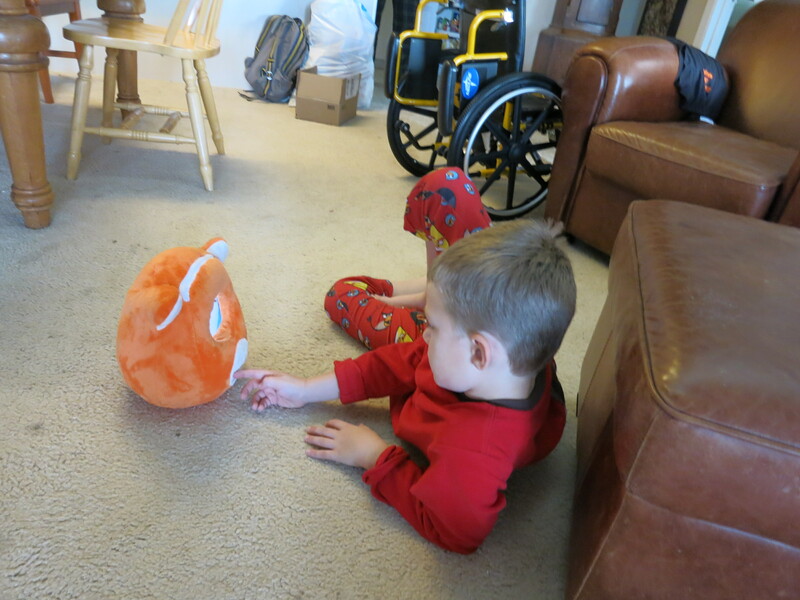 With that said, I think that Ubooly is best suited for younger kids (about 4-8 seems like the ideal age range). This year Ubooly was selected as one of the TechStars companies for the Disney round. That is a huge and well deserved honor! Ubooly is testing their product with kids and developing new forms of play and games. These are toys for the next generation! Where can you find one? http://www.ubooly.com/ and you’ll want to sign-up for credits so that you can access the latest games and activities over time. Cost: $$* Uboolies are very reasonably priced. The stuffed toy is between $20-60 depending on what size you purchase. Then you will need to subscribe to an account for game/activity downloads, but this is pretty reasonable in comparison with other game/apps. Plan on an additional $15 – 50 so that Ubooly’s new friend can download the games that are most interesting to them. *One caveat about the cost is that Ubooly uses a digital device, like an ipad or iphone so there’s an embedded assumption (for many people today, it’s just a given that we have a digital device handy – the real question is whether you are willing to let your child run around the house with it. Fortunately, Ubooly has been designed with the protection of your device in mind. The sturdy construction of the toy seems to have enough padding to keep devices safe during adventures.